To switch it up a bit I thought I would do a few round up posts based on colour. Colour can be a huge deciding factor when choosing a pattern – some colours speak to us more than others – and some colours we just avoid. Your challenge, if you dislike the colour chosen for the week – will be to look past the colour to see the pattern. You never know – you may find a hidden gem you have avoided before because of the colour yarn chosen to demonstrate the design! All images are the credit of the Designer specified in the individual Pattern Links unless otherwise noted. If your design/image has been included in this round up and you would like me to remove it, please let me know. 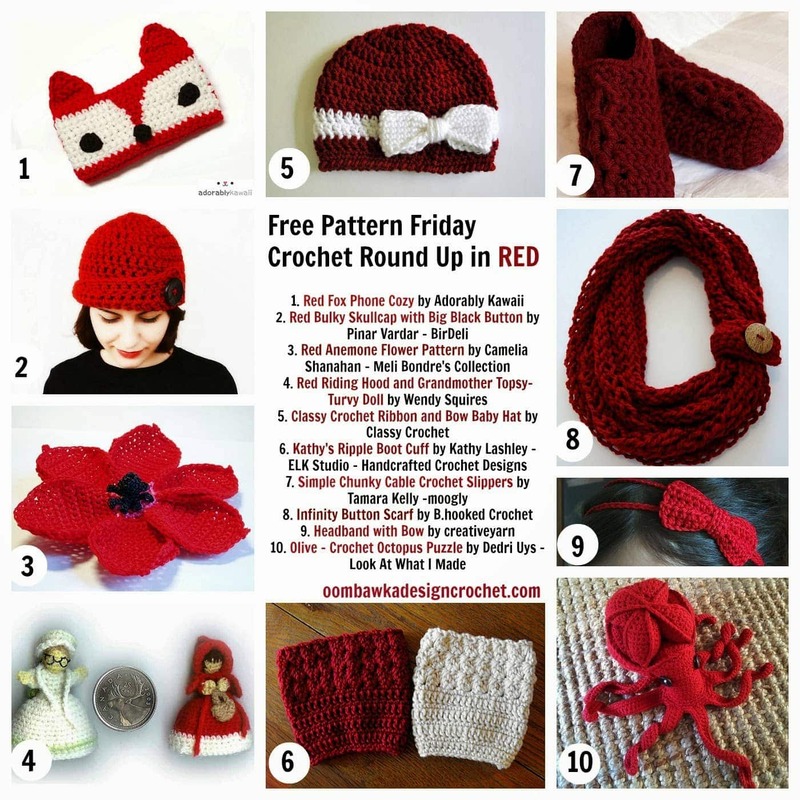 I love the color red, and these patterns show the color perfectly! Thanks! !